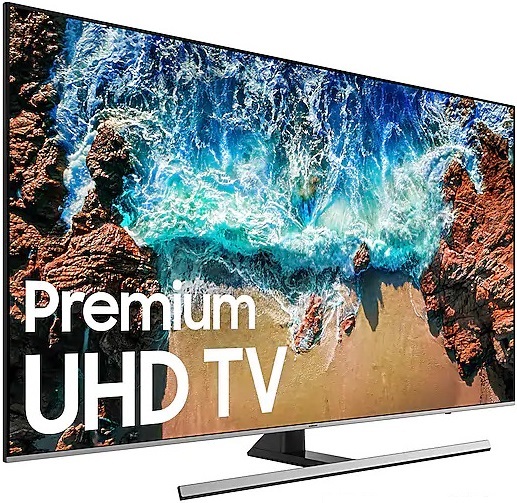 Samsung UN65RU8000 is one of the choices that should be on your mind if you are looking for 65-Inch 4K UHD TV in 2019. Samsung UN65RU8000 (UN65RU8000FXZA) is positioned as the successor model of Samsung UN65NU8000 (UN65NU8000FXZA) from Samsung’s 2018 TV lineup. As the new model, what’s better in the new Samsung UN65RU8000? I’m sure that It’s important question that you want to know the answer before you decide which of those two TVs is the one that you should choose. What Should You Know about Samsung UN65RU8000? It’s a good idea for us to look at the specs and features of Samsung UN65RU8000 and UN65NU8000 before we can talk more about their differences. The key specs and features of Samsung UN65RU8000 and UN65NU8000 can be found in the table of comparison below. I’m sure that you should be interested to look at it before we discuss more about the differences between those two TVs. As we can see from the table above, most of the specs and features of Samsung UN65RU8000 and UN65NU8000 are similar. But we can find that there are few minor differences between Samsung UN65RU8000 and UN65NU8000. What are their minor differences? Let’s discuss that together. Although we can find that both of Samsung UN65RU8000 and UN65NU8000 come with UHD Engine as their picture engine, Samsung UN65RU8000 indeed comes with more powerful picture processor. It comes with 4K UHD Processor. With 4K UHD Processor installed on it, we can enjoy better color, clarity and contrast optimization in Samsung UN65RU8000. 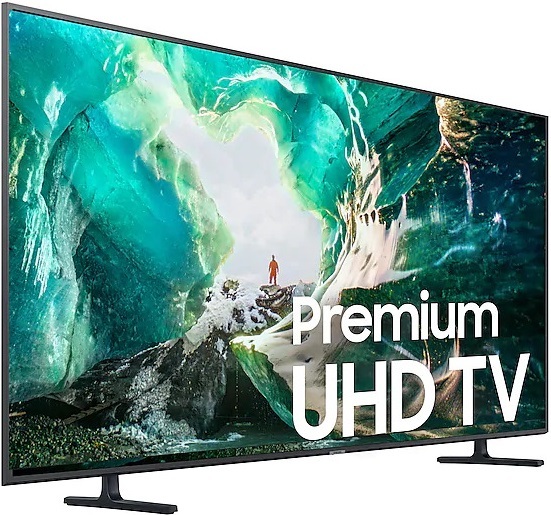 While Samsung UN65RU8000 and UN65NU8000 come with similar Motion Rate 240 as their refresh rate technology, We can find that Samsung UN65RU8000 comes with improved FreeSync VRR (Variable refresh rate). FreeSyncy is able to reduce input lag and prevent tearing and stuttering, while VRR is able to deliver optimal video frame by each scene. Both of Samsung UN65RU8000 and UN65NU8000 come with Smart Hub as their Smart TV platform. But we can find that the Smart Hub that installed on those two TVs are different in version. Samsung UN65RU8000 comes with 2018 version of Smart Hub that comes as improved version of 2018 Smart Hub that installed on Samsung UN65NU8000. One of the key improvement that we can find in 2018 Smart Hub is Amazon Alexa integration. We can also find that both of those two TVs come with Samsung OneRemote but they are different in version. Samsung UN65RU8000 comes with TM1950A remote, while Samsung UN65NU8000 comes with TM1850A remote. The speaker system that installed on Samsung UN65RU8000 and UN65NU8000 are different. Samsung UN65NU8000 as the old model comes with 2.1Ch 40W speaker system, while Samsung UN65RU8000 comes with 2Ch 20W speaker system. 2.1Ch 40W is able to deliver richer and more powerful sound quality. But basically the 2Ch 20W speaker system of Samsung UN65NU8000 is still able to deliver good sound quality since it’s already powered by Dolby Audio. If you are not satisfied with it, then you can also attach your soundbar easily for more powerful surround sound. As the new model, we can find that Samsung UN65RU8000 is usually offered at the higher price than Samsung UN65NU8000 as the old model. When we talk about their price difference, we should notice that the TV prices often change from time to time. So it’s recommended that we check the price of Samsung UN65RU8000 and UN65NU8000 before we can find their latest price difference. What’s Better in the New Samsung UN65RU8000?